A new brand design and name was needed for a wealth management company. It was essential that the new name and brand conveyed a feeling of quality, as well as security. We developed a range of name and logo options for the company. Velvet Wealth Management was chosen as it clearly expressed the luxury feeling that we wanted to create for the end result for the brand. In conjunction with the development of the logo, we designed and printed a perfect bound brochure too. The brochure continued the feeling of quality with a foiled and embossed logo to the front cover. 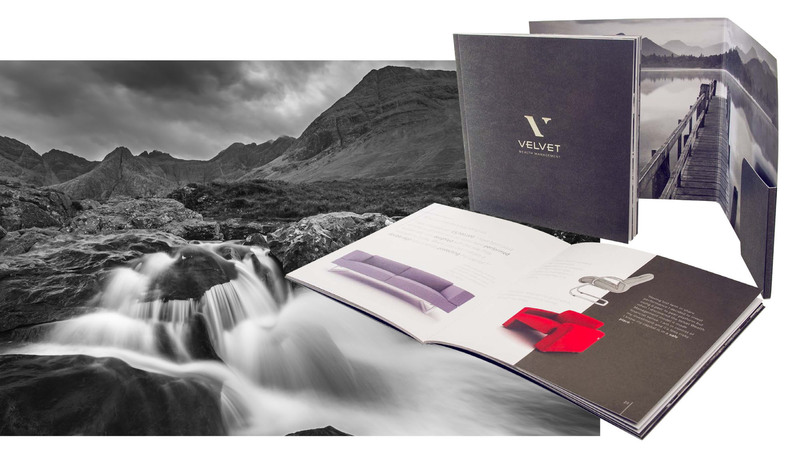 The brochure was printed on soft touch paper to reflect the name ‘ Velvet’. 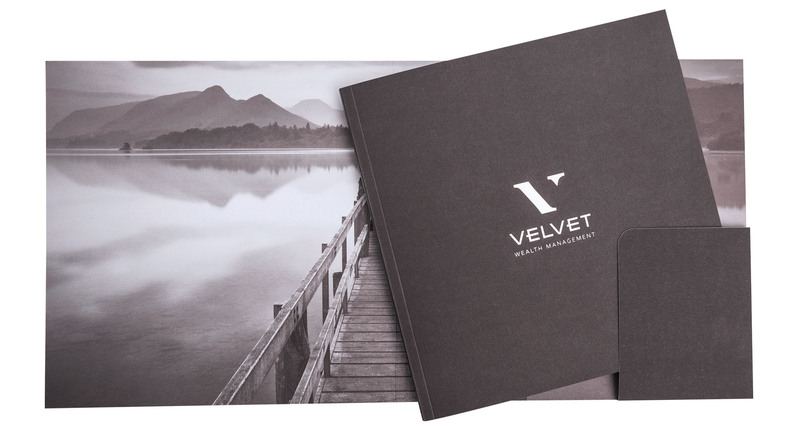 We also designed other marketing materials for Velvet, including a folder as well as stationary. These were created for the launch of the new brand. If you would like to find out more about our branding services please contact us.